SafeSpace is based at Hills House, Leeds Road, Nelson, BB9 8EL and is managed by Positve Action in the Community (PAC), registered charity no 1088536. 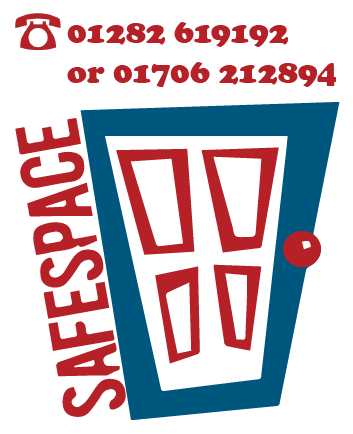 If you would like to make a referral to SafeSpace, either on your own or someone else’s behalf, please click here. If you would like to get in touch to make a comment, complaint or compliment, you can do this by writing to us at the above address, by calling us on 01282 619192 or email safespace.pendle@p-a-c.org.uk. The SafeSpace project is managed by Benjamin Peverley and the Charity Manager for Positive Action for the Community is Claire Bennett. You can provide feedback about any project or part of the service at any time. The Project Manager will look into your comment and take appropriate action. SafeSpace see all complaints as a valuable and positive tool in reviewing and developing our service to maintain high standards in our support delivery. If you feel that any of the work that SafeSpace undertakes is worthy of your compliments please feel free to put it in writing. We like to hear what we are doing well as well as what suggestions for change you may have to ensure that our projects remain equal, fair, accessible and appropriate.